Adelheid Otto‘s research focuses on the development of urban civilization in ancient Mesopotamia. She is now excavating on the site of Ur, one of the world’s first cities. 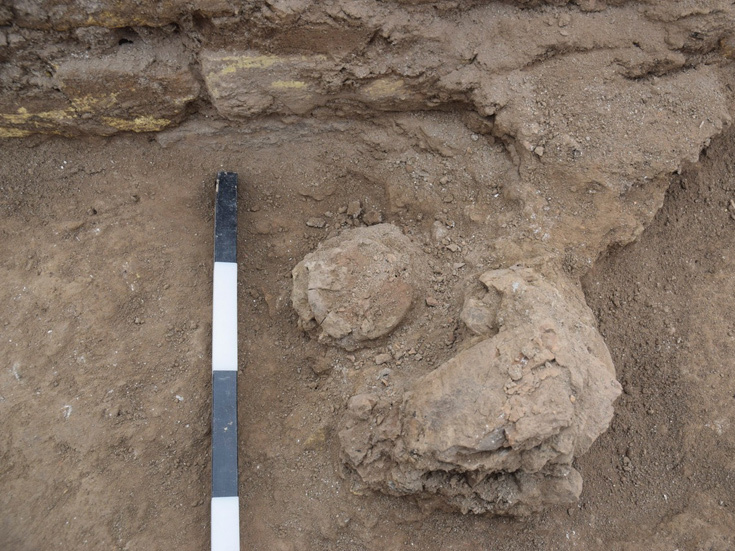 The finds yield fascinating insights into urban life 4000 years ago. The houses had been flattened, the city’s elite were in captivity, and its remaining residents were starving. In about 2000 BCE, the city of Ur in Lower Mesopotamia was destroyed by invaders from the mountains to the East. The city was subsequently rebuilt, but the fate of its predecessor was not forgotten. It forms the subject of the Lamentation Over the Destruction of Ur, written several hundred years later. The poem tells us that Enlil, the supreme god in the Sumerian pantheon, had “blown up an evil storm” to punish the citizens of Ur for their transgressions. The place where Ur once stood, now in Southern Iraq, hosts one of the world’s longest-running archaeological excavations and is on UNESCO’s world heritage list. “Ur was one of the largest, most important and cosmopolitan cities in the Ancient Near East. We know from the surviving texts how many thousands of people lived in the city and what life was like there – we can read about the din created by the blacksmiths in their workshops and about the shops that lined the city’s streets,” says Adelheid Otto, who is currently carrying out a research project on the site. Four thousand years ago, Ur lay on the coast and was the most important port on the Persian Gulf. Its prosperity was largely based on its far-reaching political influence and its extensive trading networks. Texts written on thousands of clay tablets refer to intensive commercial contacts ranging throughout the Near East, and reaching as far as the Mediterranean. 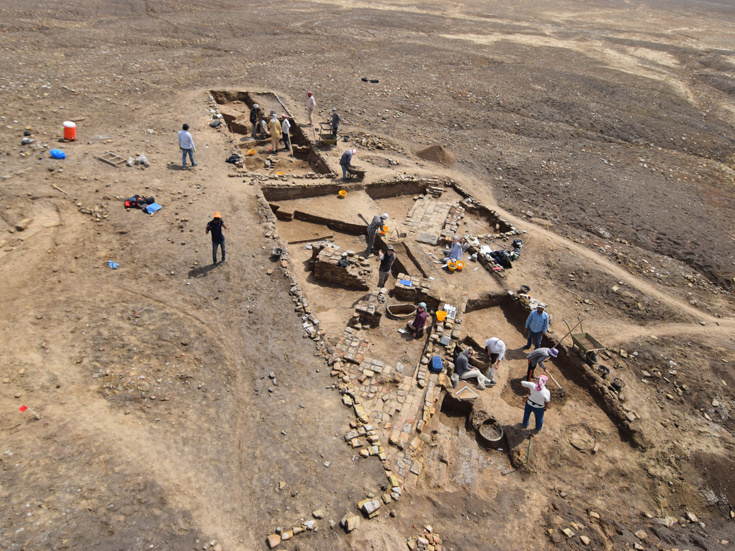 Excavations in Ur – according to the Bible, the birthplace of Abraham – were already making headlines almost a hundred years ago, when a team led by Sir Leonard Woolley uncovered the city’s major temples, palaces and royal tombs. The kingdom’s central temple, actually a temple-tower or zigurrat, was dedicated to the moon god Nanna. One of Mesopotamia’s most impressive ruins, it still dominates the site. Woolley’s excavations and, in particular the astonishing troves of jewelry he found in the royal tombs, revealed to the European public for the first time that the history of civilization in the Near East was far older than their own. 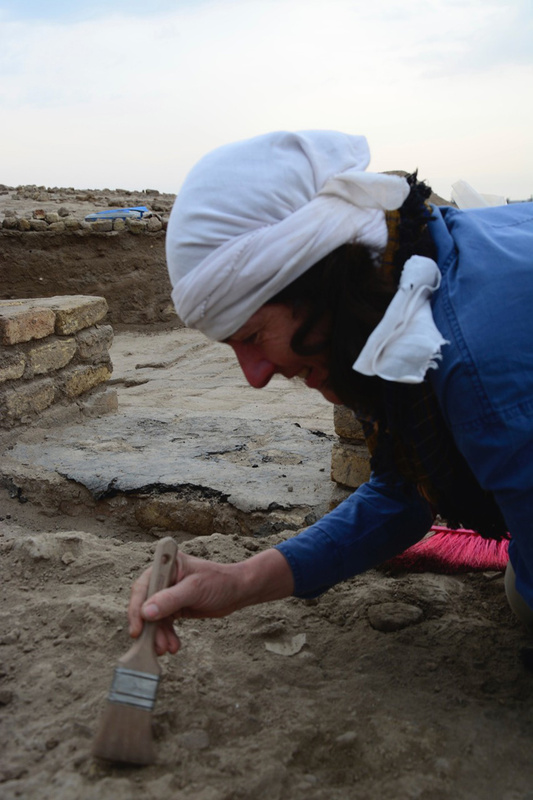 Otto is excavating a dwelling which lay on the edge of the city, as part of a larger campaign led by Elisabeth Stone of Stony Brook University in New York State. One of the first finds made last season was a tablet bearing the text of the Lamentations. “Finding a tablet with this wonderful literary text on the destruction of the city lying directly below the ground surface was an unforgettable experience,” she says. But the site had other surprises in store. The house was built some 200 years after the events described in the poem took place. The texts discovered so far show that the house belonged to a very important member of society who was the administrator of the city’s second most important temple. He had set up a scribal school in the building, and taught students to read and write. It had been thought up that the well-to-do lived close to the temple precincts in the city center. But these finds show that even in second millennium BCE, the upper classes had a penchant for suburban living. Otto’s interests focus on the daily lives of the city’s inhabitants. “I want to know how the houses were used, in order to learn more about how people lived. By combining what their dwellings tell us with what we can glean from texts, we can construct a picture of urban society. During the 19th and early 20th centuries, excavators were primarily interested in the monumental buildings and the spectacular finds that now fill the world’s museums. However, Woolley excavated approximately 60 houses, displaying an unusually lively interest in urban dwellings and putting later excavators in his debt. For modern archaeologists set out to document everything that they come across, whether animal bones or pottery shards, and analyze their finds on site. Since the site now attracts many tourists, the ruins are protected by high fences, and continue to guard their secrets. For cities like Ur are far too extensive to be excavated in full. “The trick is to select the short profiles that provide most insight into the whole thing,” says Otto. Meanwhile, Otto will continue to work on her current projects in Iraq. Not long ago she and her team carried out a thorough survey at a mound that covers an area of some 200 hectares in the Fara region, which lies further inland to the north of Ur. The mound conceals the ruins of a Sumerian settlement. According to the original Sumerian version of the Flood, a king of Fara by the name of Ziusudra built an ark that saved humankind – “a story that found its way into the Bible, although the hero’s name has changed,” as Otto points out. Only last month, the LMU team located the long-sought temple and the walls of the city with the help of geophysical techniques. Here too, the researchers were confronted with the uncertain security situation in the region. 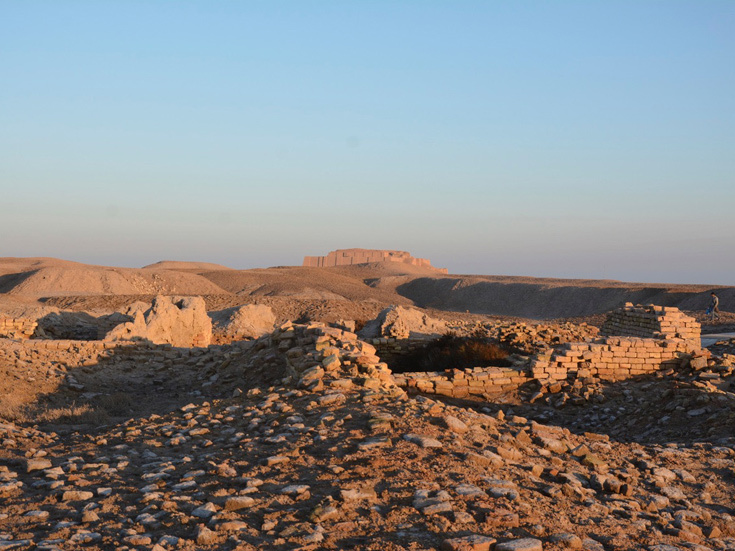 They were accompanied on the trip to Fara by several Iraqi policemen – “the only people, apart from ourselves, who were to be seen in this otherwise deserted part of the world.” Nevertheless, for Iraqis in the region, the fact that Western archaeologists are once again venturing on new investigations in the country is a sign that life is slowly returning to normal. Otto plans to return to Ur next year to continue her work on the House of the Administrator, focusing this time on the vault beneath it, in which the inhabitants interred their dead. She hopes to discover human remains in the accessible burial chambers. “It would be fantastic to encounter physical traces of the people whom we have come to know on the basis of texts and objects.” Using modern scientific techniques, the bones of the dead can be persuaded to reveal much information relating to diet, mobility and genetic relationships. 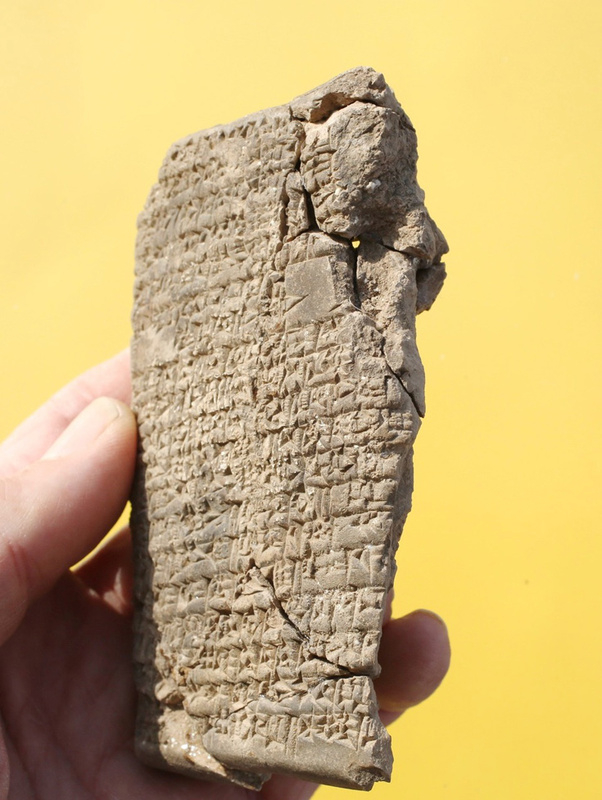 The finds in the house itself and the letters inscribed in cuneiform script on excavated tablets have already shed light on the owner’s habits. They reveal that he was often away from home on business, and regularly sent letters containing instructions for his wife. “Women were often entrusted with looking after their husbands’ business interests at home.” Indeed, the status enjoyed by upper-class women in Ur in 2000 BCE can still surprise us in the 21st century CE. For example, the daughters of the better-off classes could lead independent and socially prestigious lives as priestesses in the city’s many temples. Indeed, the first female poet we know of lived in Ur. Her name was Encheduana, and she was High Priestess in the Temple of the Moon God Nanna in the city in around 2300 BCE. 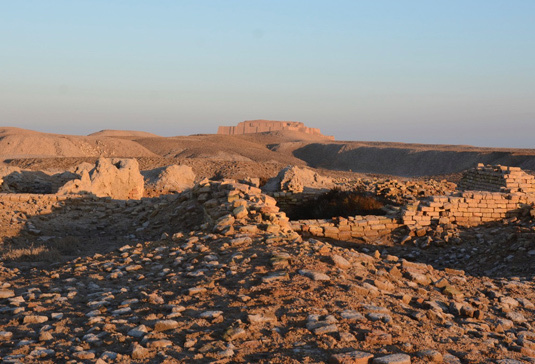 LMU’s Institute of Near Eastern Archaeology will host the 11th International Congress on the Archaeology of the Ancient Near East (ICAANE) on April 3-7, 2018. In addition to the usual specialist contributions, the program includes a panel discussion on Cultural Heritage and the Current Situation in the Near East which will take place on April 5th. The panel discussion on Cultural Heritage and the Current Situation in the Near East on April 5th has been cancelled!